The Alsace Wine Route winds its way from north to south, for more than 170 kilometers (106 miles) along the eastern foothills of the Vosges. It has become famous the world over for its exceptional natural beauty as it leads visitors across rows of undulating, vine-covered hills, and through quaint villages. 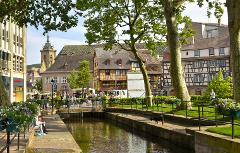 Today we will first pick you up in a centrally located meeting point in Colmar. 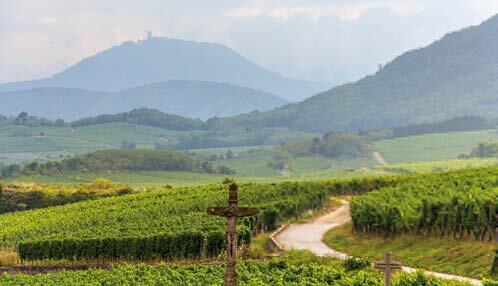 You will follow the mythical wine route and cross / visit some of the most beautiful Alsace villages. This is where we will stop so that you may experience tastings of the delicious Alsace wines in local wineries. The tastings are often commented by someone of the family or by the cellar master so that you may get the possible explanations on both the expertise and know how that has been transmitted through centuries of wine-making. The tour will also stop in famous landmarks such as Riquewihr where you will have time for lunch and personal discovery. All in all, we will have you stop in 3 different wine producing areas of Alsace so that you may compare between the different “terroirs”, vintages, Grands Crus or cuvées that will give you a perfect introduction to these magical white wines.